In California, accusations of possessing a controlled substance for the purposes of sale (or “intent to sell”) is charged by the government under Health & Safety Code 11351 HS. All drug sales charges are straight felonies that cannot be reduced to a misdemeanor. A common misconception is that the prosecutor must prove you actually sold a narcotic substance. Rather, the prosecution need only prove you possessed an illicit drug with the intentions of selling it. Contrary to popular, the exchange of money is not necessary to warrant sales charges against you. Instead, labor, services, or the exchange of anything of value will suffice. Common controlled substances include, but are not limited to, marijuana, cocaine, heroin, ecstasy, methamphetamine, and prescription medication. The following article will address 9 important things you should know about charges of possession of a controlled substance for sale. 1. When Should I Retain a Drug Sales Defense Lawyer? If you’re under investigation for selling narcotics, then police questioning you is bound to occur. Retaining counsel early will prevent you from giving an incriminating statement to a detective since counsel will speak on your behalf. Additionally, your attorney will coordinate with potential witnesses, business, and/or organizations in an effort that they preserve crucial evidence for your defense. For instance, video surveillance or recordings from business or individuals. Furthermore, your lawyer will coordinate bail early so that in the event you’re arrest, you’re bailed out as quickly as possible. If you’ve been arrested or under investigation, retain a Drug Sales Lawyer at the cases earliest juncture. 2. What Must the Prosecutor Prove for Drug Sales? 5. The substance was in a usable amount. 3. What are the Legal Defenses to Possession for Sales? It may be that you were arrested for a substantial amount of substance but did not know of its presence. For example, a colleague left it in your home without your knowledge or left the substance in your car without you ever knowing. Simply put, if you did not know of the substances presence then you are not guilty of this crime. In most cases, law enforcement proves this element by your incriminating statements. The government holds the burden to prove you knew the nature and character of the substance. Simply put, the prosecutor must prove that you knew the substance was a narcotic. However, the prosecutor does not need to prove you knew of the type of substance, but only that you knew the substance was an illicit drug. Therefore, if you did not know that the substance you were possessing was a controlled substance, then you’re not guilty of this offense. 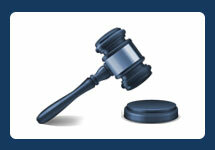 Possession can often be the legal issue in a drug sales case. The government has three theories to prove possession: 1) actual possession where you carried the substance on your person or was inside your vehicle; 2) constructive possession where you exercised control or had a right to exercise control over the substance; and 3) joint possession where two or more people can hold possession. As already noted, constructive possession is not precisely defined and often the issue in the case. This charge requires the government to prove you harbored the intent to sell the substance. But there could be a lack of evidence to prove this element. In other words, you possessed an amount consistent with personal use; you were not found with scales, baggies, or a large sum of money. There’s no law precisely defining “intent to sell” as it’s an issue of fact (case-by-case basis), but it’s often a disputed legal issue in the case. Most drug cases involve the use of a search warrant triggering a Fourth Amendment Search & Seizure analysis. The contents of the warrant, how it was obtained, and if officers used a confidential informant, all must be carefully investigated for any constitutional technicalities. If law enforcement commits a violation of your search & seizure right, then the court will suppress the evidence. In that event, the government likely be unable to proceed with their case against you. Law enforcement could be using your incriminating statements as a way to prove you’re possessing the substance(s) for the purposes of sales. If police illegally obtained these statements in violation of your Miranda right, then the judge will deem your statements inadmissible against you. If you were merely presence in a structure, and nothing more, the law is clear that “mere presence is not enough” to convict someone of a crime. Normally, the government has additional evidence such as your statements. But if you were merely present, you cannot be convicted of this crime (certain exceptions however apply). The government must prove that you were in possession of a legally defined controlled substance. Therefore, if the substance you were in possession of is not illegal, then you cannot be guilty of this crime. Note however, it is not a defense if a small portion of illegal substance is mixed with a greater portion of a legal substance. Usually formal testing is conducted by the county sheriff’s department to prove the substance is an illicit drug. Absent this testing, the government’s burden to prove your guilt becomes even more challenging. If you were arrested for an amount of prescription medication that was legally authorized by your licensed physician, then you may have a defense. This however is contingent on whether the government could prove circumstantially that you did or were selling the pills. For instance, text messages discussing sales transactions of the prescription medication, large sum of money, and/or your incriminating statements to police. Contrary to popular belief, a usable quantity just has to be some amount to ingest but not feel its effects. Thus, even a very small amount could suffice to be a usable amount. However, residue or useless traces or debris will not suffice to prove your guilt. The defense of momentary possession occurs when you were in possession of the controlled substance and delivering the substance to law enforcement. This may occur when you’re transporting a large amount to a police station. 4. What is the Punishment for Drug Sales? 5. How does the Government Prove Intent to Sell? 6. What are Common Substances Sold? 7. What are Examples of Possession for Sale? Although a conviction for possession for the purposes of sale cannot be reduced to a misdemeanor, however you may be able to expunge your conviction under PC 1203.4 provided you were not sentenced to state prison and you fully completed your probation term. If your petition for expungement is granted, the court will withdraw its finding of guilt, enter a not guilty plea, and then dismiss the case. From that moment forward, you will be released from all penalties and disabilities resulting from your conviction. However, this remedy will not restore your right to own or possess a firearm. For more information about getting your record expunged, contact the Law Offices of John D. Rogers. 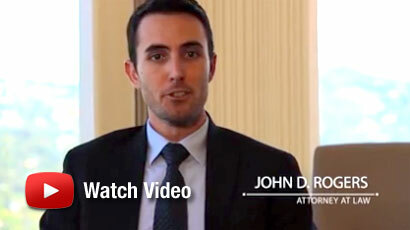 If you’ve been arrested, charged, or are under investigation by law enforcement for possession of a controlled substance for sale under HS 11351, contact Drug Sales Defense Attorney John Rogers at the Law Offices of John D. Rogers for a free confidential consultation concerning your rights, options, and potential defenses.